When my not-so-illustrious real estate career came to an abrupt halt, for some unknown reason I still continued to hold on to the cell phone. I was quite unaware at the time that it had almost become a permanent appendage. The wake-up call came when I realized I was carrying said device with me even when I was going on my daily recreational walks. It finally dawned on me that this was a form of addiction! With greatest relief this intrusive item of technology was then kicked to the curb. I was free again! Now, I have no issue whatsoever with the fact that almost everyone in today’s world is attached to this apparatus, and that most folks absolutely cannot even leave their home without it. Sure, a smart phone can be the most amazing tool, with instant access to any imaginable type of information. But what does perplex me is that so many people insist not only on coming in to your home for a visit, or on a lunch date, and seem to be unable to leave their device in peace only for a few moments. I am trying to understand why parents are out with their children and while they are on their cell phones they could not pay attention to their offspring. I see people in restaurants, sitting across from each other, yet still chatting on their individual phones? I recently traveled with two family members and was so intrigued by the fact that they were continually checking their messages on social media… constantly during the whole entire day, even though there were some intense moments involved. Wow! What an eye opener. What does this mean for our future? Well, I fear we will eventually become more robotic in character, possibly with the hope of turning into superiorly intelligent beings. If you think of people who have an artificial arm or leg, others with pacemakers and other artificial organs and body parts, what is stopping us from becoming even more robotic? I have even read that there are individuals who have gladly signed on to have their own brains hooked up to a robotic device with the hope they will enhance their brain power. I am not sure what the goal is behind that? It certainly does appear that mankind is beginning to trust himself less as a human, and turning more and more to an artificial means as a solution to whatever problem befalls us. This is more than likely what the future holds in store for us. Could it also be a natural evolution for humanity? 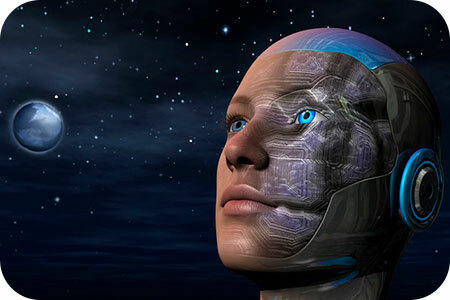 My main concern is… where in all this synthetic robotics does the soul belong? How do we embrace a mechanized, computerized state of being, while also securing a spot for the soul? The Soul Self is after all the essence of who we are, as we know ourselves to be. This particular dilemma has been plaguing me. Should we have cause for concern? What will ultimately become of our spiritual identity? Will the soul simply incorporate itself into this new digital regime? I do not have any of these answers yet, and will continue to probe until I find out. And of course I will gladly pass that information on to you once it arrives. In the meantime I am trusting that my Soul Self will stay intact as I know it.